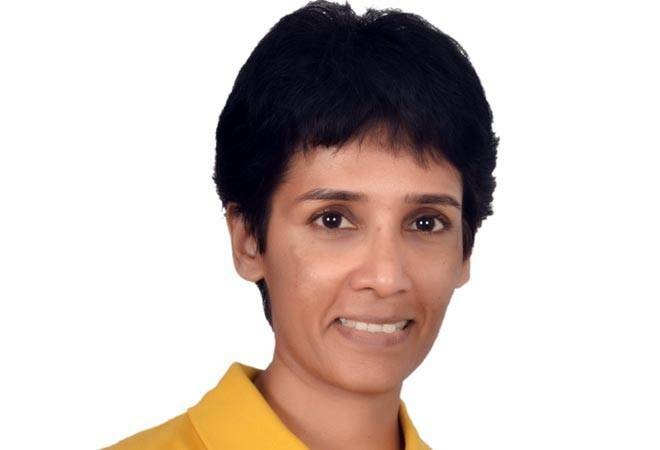 Janaki Krishnan, author of Breaking Barriers, tells Business Today that it is only when there are more women at decision making levels that things will improve. Q What are the landmark moments when women in India started to get into bigger roles and senior positions in India Inc.? Q What was the earlier milieu like? What kind of role did women have in the corporate world? Women's initial participation in the workforce was mostly governed by the need to supplement the family income or due to sheer economic necessity. In fact, studies have shown that in demographics where income levels are low, employment of women is higher. Then when income levels improve, their employment levels fall (because there is no necessity for them to work). Then when education levels improve, their participation in the workforce again rises. Therefore earlier women largely played supporting roles - secretaries, assistants, typists, clerks etc. So the number of girls enrolled for typing and shorthand were almost on par with the boys. The large scale recruitment exercises by banks through common entrance exams, similar entrance exams by tax and customs paved the way for women to gain entry into the non-clerical officer cadre. This gave them the chance to go up the ladder. Q. How and when did things start to change for women - especially for professionals? The male to female ratio in the IITs is about 10 to 1 - still? So we have to ask ourselves: have things changed? Probably we should be glad about the improved ratio maybe. Priti Shankar was the first woman electrical graduate from IIT Delhi and that was in 1968! After completing her Ph.D she got a job at the Indian Institute of Science. According to studies, participation of women in the workforce actually fell between 1987 and 2009 and the reason was the high economic growth rate in India and higher income levels. So the women who entered the workforce during that time were only those who were serious about their careers; those who wanted to carve out a career of their own accord instead of being merely income supplementeers. Q. What was the scenario in family run businesses? Was the male heir always preferred over the female? I hate to say this but this is still the case. Okay in some of the high profile companies - that we keep reading about - girls may be stepping into the shoes of their fathers (or in some cases the mothers) but for every one of these companies there are about 10 others where the daughters are not in the reckoning to be the heirs. They may be encouraged to join the family business in some capacity or the other - but the control would always be in the hands of the males. This is changing - it has to - but slowly, very slowly. However, I would like to point out here that in some sectors it is easier for a woman to inherit - cosmetics, beauty, media, financial services etc. Q. What are the inherent biases that run against women? There are societal biases - despite all the emancipation that we talk about and see within out sphere, beyond the cosy bubble that a few of us inhabit, women's role in still largely bound with the family and its responsibilities. Career and work is seen as secondary. Then there are organisational biases - this is pretty much well documented. Male leaders preferring to deal with other men; male bonding and networking that excludes women; lack of infrastructure and basic facilities for women (outside urban areas you would be surprised to know that some companies are downright hostile towards woman employees), minimal childcare facilities, discrimination at the workplace, harassment, lack of pay parity etc. There is also the mind-set bias, which is all too firmly entrenched. The usual male superiority and the perception that is perpetuated that women are too emotional, or do not have the required ability to lead. Q. Are some industries still women unfriendly? Mining is one industry where women are not allowed; nor are they allowed in jobs that require lifting of heavy weights. Strictly speaking discrimination on the basis of gender is prohibited legally in almost all industries, however male dominated segments such as automobile, construction, some disciplines of engineering, aeronautics - are some sectors where the very culture that permeates them is, if not downright hostile, is rather intimidating for women. Q. What will be the defining moment for the journey of women in India Inc? India has a lot of legislations but enforcing them is the problem. Therefore I don't see any sudden moment or a defining moment when everything is going to be miraculously set right - the struggle, the fight for our rights have to continue. Its only when there are more women at decision making levels that things will improve. At present, all rules are made by men and all of them are in their favour. Ok, I can think of one single decision that can have far reaching consequences for women in the workplace - recognise that women give birth and that they are the perpetuators of the human race, create infrastructure and make policies so that women have child-care facilities, can feed their babies in the workplace, provide flexible working hours; don't treat pregnancy and childbirth as some disease or handicap for the woman employee and help her remain productive. Probably this would go a long way towards improving their participation in the corporate sector. "The last quarter may see an increase in volatility giving an attractive opportunity to equity investors"